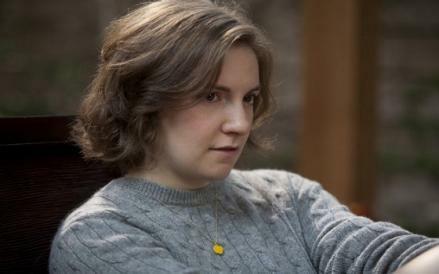 Girls HBO: One Man's Trash, episode 5 of Season 2, reconsidered. Girls HBO: One Man’s Trash, episode 5 of Season 2, reconsidered. Having written, for the most part very enthusiastically, about every episode of Girls since it premiered last year, I’ve long since gotten used to defending the series from detractors, online and off. This week, though, the script was flipped: I hated an episode that has since been championed by pretty much all of the smartest and most prominent fans of the show. Several people have said it’s the best thing yet from Season 2; others have said it’s the best thing in the series altogether to this point. What’s more, my view of it—and that of my colleague Daniel Engber, who shared his distinct but similarly negative take in our conversation about the episode—has been pilloried as a particularly blinkered bit of male gazing. To take the second matter first: Engber and I did go on rather much about Patrick Wilson’s appearance and its bearing on the episode’s plausibility. Wilson’s conventional handsomeness is part of the episode’s point, I think, along with his conventionally fancy home and conventionally prestigious job, as some champions of the episode—including Slate’s Hanna Rosin—have noted. But it was only part of the point, and perhaps doesn’t really weigh much on the matter of plausibility; that Engber and I each thought so to varying degrees may very well reflect a specifically male sort of superficiality and foolishness that I’m not particularly happy to see in myself (or anyone). Seitz is right that Louie has eradicated the distinction between dream and reality, particularly on that incredible Season 3 finale. But Girls has not done so—the contrast between “One Man’s Trash” and “New Year’s Eve,” which includes multiple dream sequences and flagrantly absurd scenarios, is stark. And the question does matter—as Seitz’s own analysis of the episode suggests. “Joshua’s vague account of the breakup of his marriage,” he says, is a “tell” that the episode may indeed be a fantasy, because it consists of “what sounded like placeholder dialogue that Hannah would presumably fill in with real dialogue during revision.” (Emily Nussbaum similarly suggested, albeit in passing, that the episode is actually the essay that Hannah, in episode 2, gave to Sandy.) This is a bold bit of close reading, but besides feeling too clever by half, it utterly undercuts the effectiveness of the dialogue as dialogue: If the episode was “written,” in some sense, by Hannah, rather than Dunham, its need for revision is a brilliant metafictional ploy. If Hannah didn’t “write” it, it’s just not very good dialogue. But there were also moments that made more sense this time, including, yes, the way Joshua so passionately responds when Hannah—implausibly, it still seems to me—kisses him without warning. Her request that he beg her to stay—another scene that Seitz singled out as being “written” by Hannah—still felt artificial; here, as elsewhere, the lines themselves may have been the problem, or it may have been Dunham’s delivery of them. The moment she starts crying in bed, just before launching into her speech about happiness, felt completely inorganic, something only imagined and not fully realized. And that’s still how I feel about much of the episode. But watching Hannah deliver that odd speech, I realized what really bothered me, I think, about “One Man’s Trash,” what got under my skin about it, made me frustrated and even, maybe, a little hostile to it: I didn’t recognize the character at the center of it. Like many critics, I generally disdain too much emphasis on “identifying” with a fictional character, and I’ve praised Dunham in previous weeks for making Hannah less and less sympathetic, for daring to put such an unlikable protagonist at the center of a show. But on some level, Hannah’s basic aims still felt, to be honest, a lot like my own. She wants to get by in New York, to make it as a writer, to have a few smart friends. Put so plainly, it all sounds very cheesy—but there it is. And in “One Man’s Trash,” she expressed a longing I don’t identify with at all: the desire for a big fancy fridge in an opulent brownstone with immaculately maintained interiors. That’s not me, that’s my neighbors, the ones with the deed and the construction crew working five days a week for a year and, whenever they’re finally done, the fancy place next door all to themselves. That’s put a tad emphatically, maybe, but it’s not far off the mark. And it probably shouldn’t bother me as much as it did. But the truth is that some part of my love for this show does have to do with seeing myself in it, and particularly, I suppose, in Hannah. I don’t think the few days with Joshua were a “fantasy” in the sense that they didn’t “really happen” in the world of the show. (Although Joshua does call himself at one point “an old ghost,” so … maybe.) But I do think they were a fantasy of happiness for Hannah, one that, for a variety of reasons, I find a bit repellent. That doesn’t make “One Man’s Trash” the “worst episode of Girls ever.” Maybe, who knows, it was the best episode ever. (I still like last week’s more.) Either way, it made the episode very hard for me to enjoy. And that, I realize, is at least partly on me.